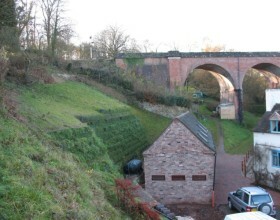 Daniels Mill is a fully working watermill set in the idyllic Shropshire countryside, deep in a wooded steep valley crossed by the 19th century viaduct carrying the Severn Valley Railway to Bridgnorth. 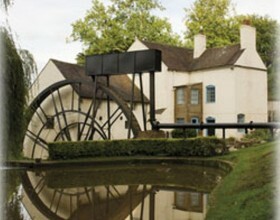 Its impressive waterwheel has been carefully restored to its former glory and is the largest waterwheel powering a corn mill still working in England today. 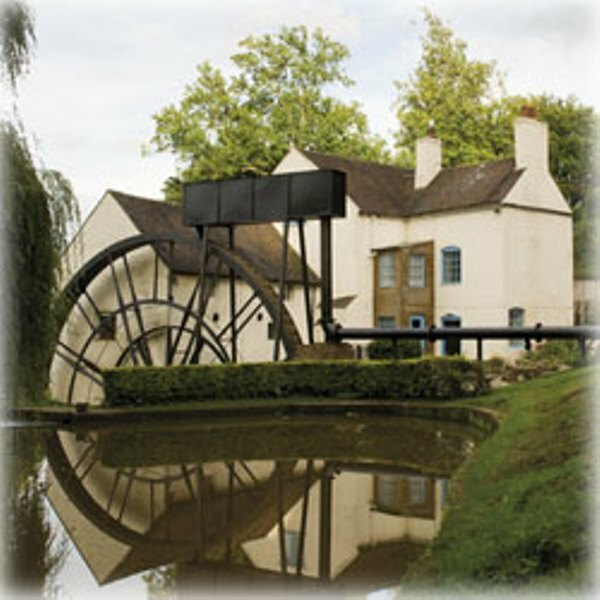 The watermill is virtually unaltered since the 18th Century and still in the ownership of the same family for over 250 years. 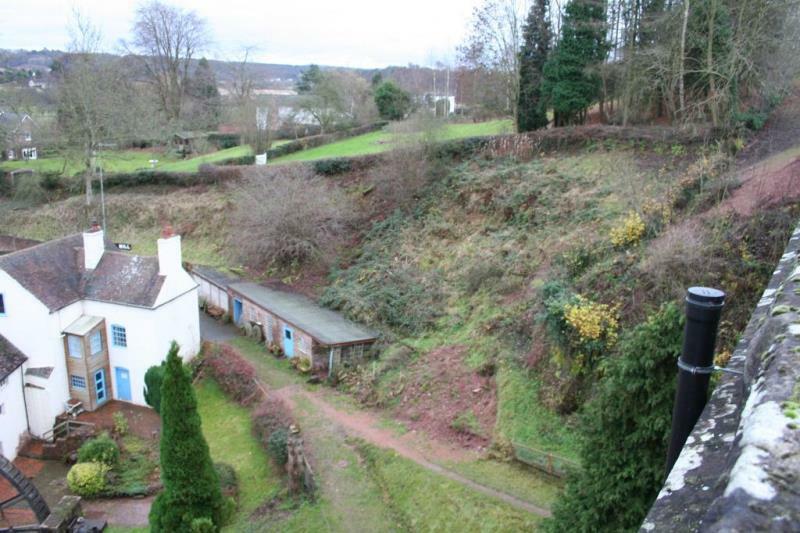 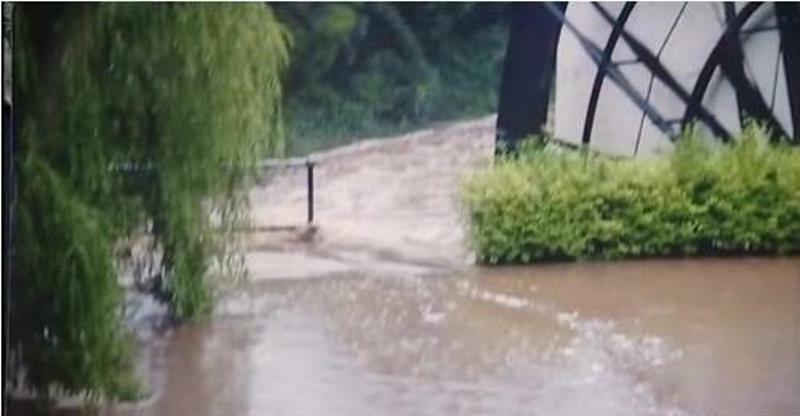 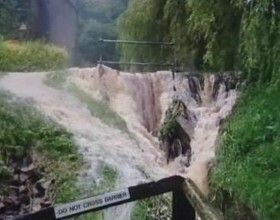 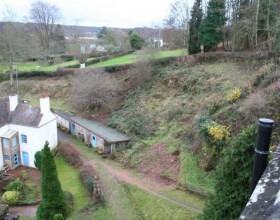 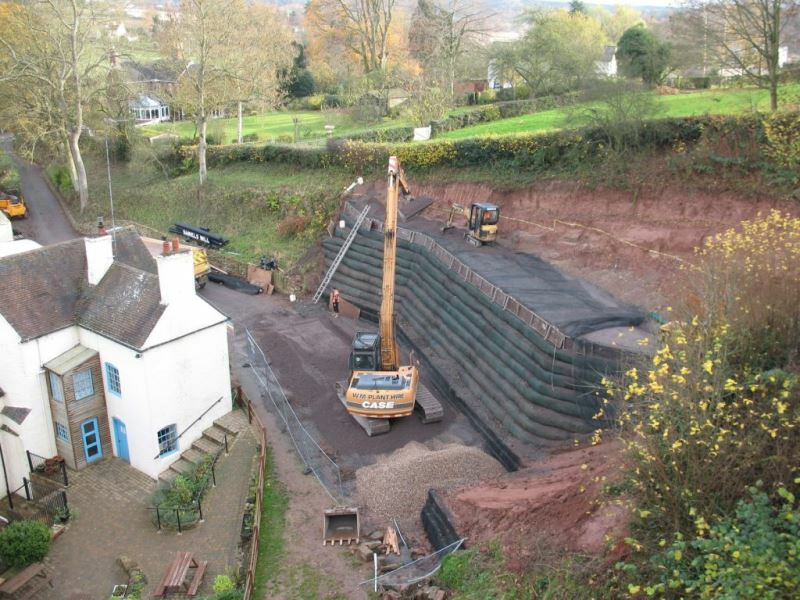 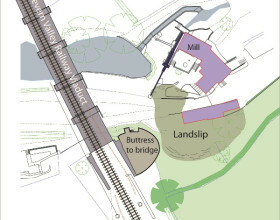 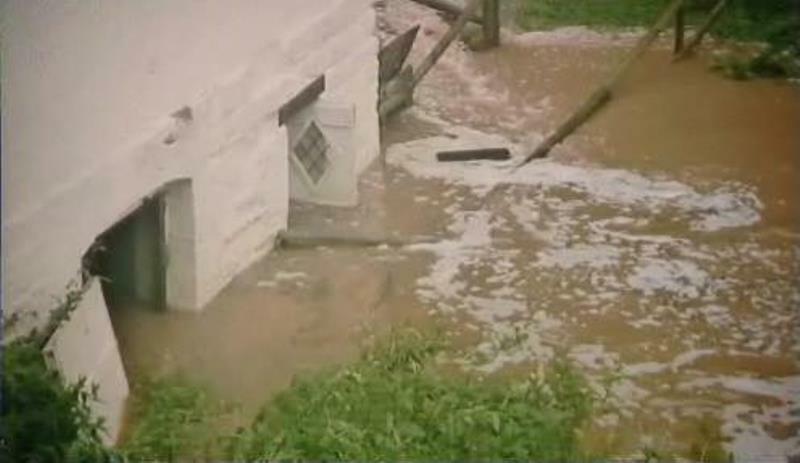 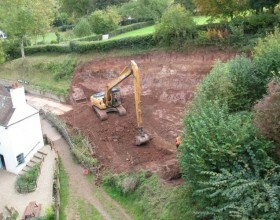 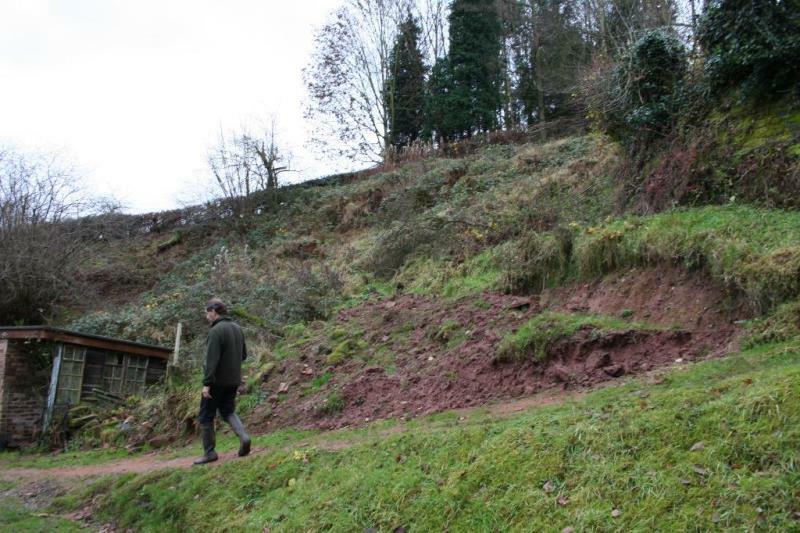 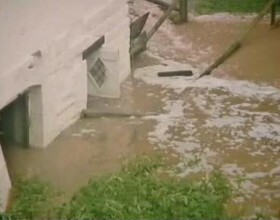 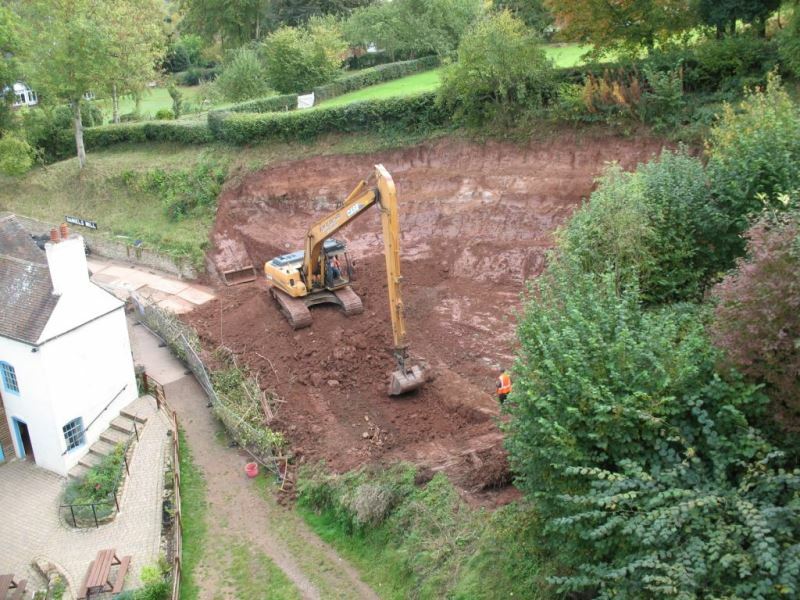 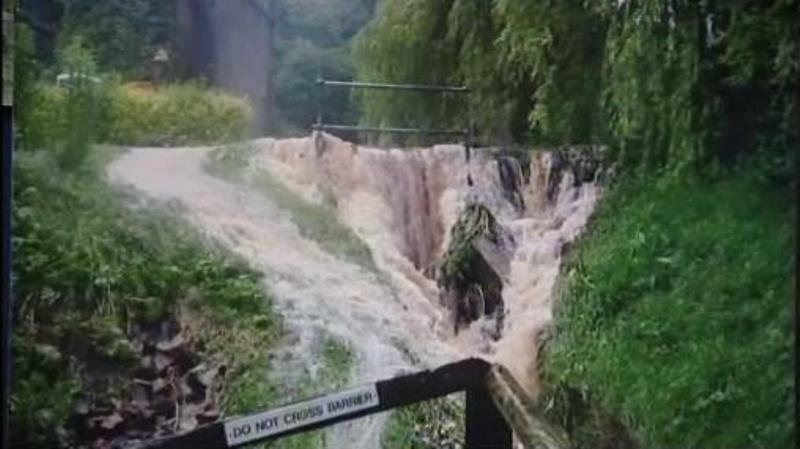 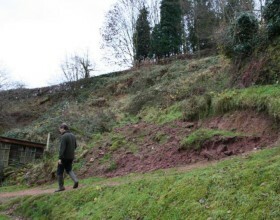 The Mill was hit by severe storms and flooding in 2007 leading to a landslip adjacent to the Severn Valley Railway, impacting on the historic mill and damaging one of the Mill’s outbuildings. 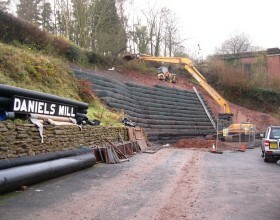 The mill is sited in a heritage and conservation area and therefore required innovative and sensitive restoration works. 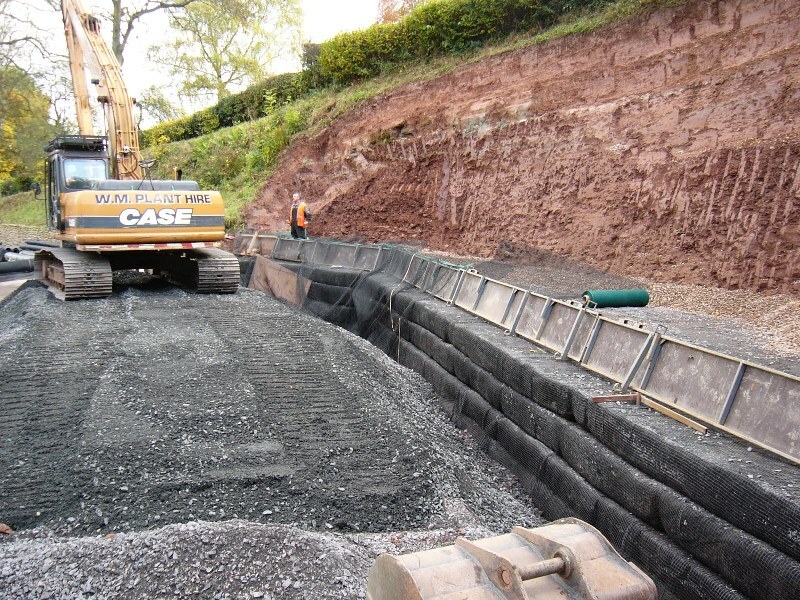 The design of the reinforced soil slope and wall was undertaken by PaSCoE along with close monitoring and supervision of the work which allowed changes to be implemented as work proceeded. 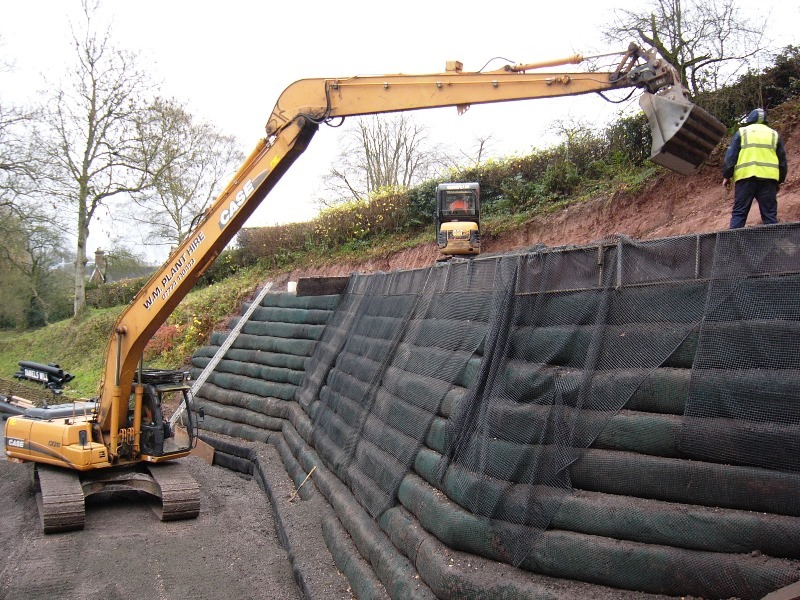 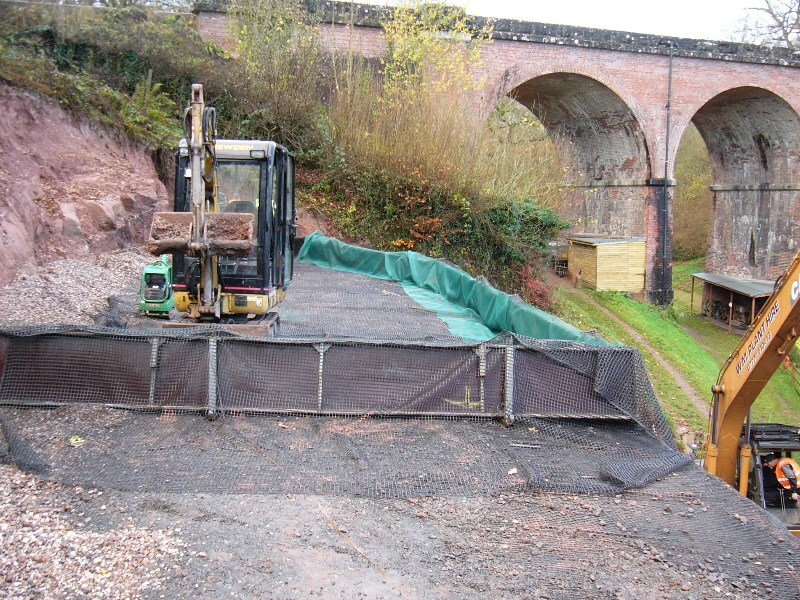 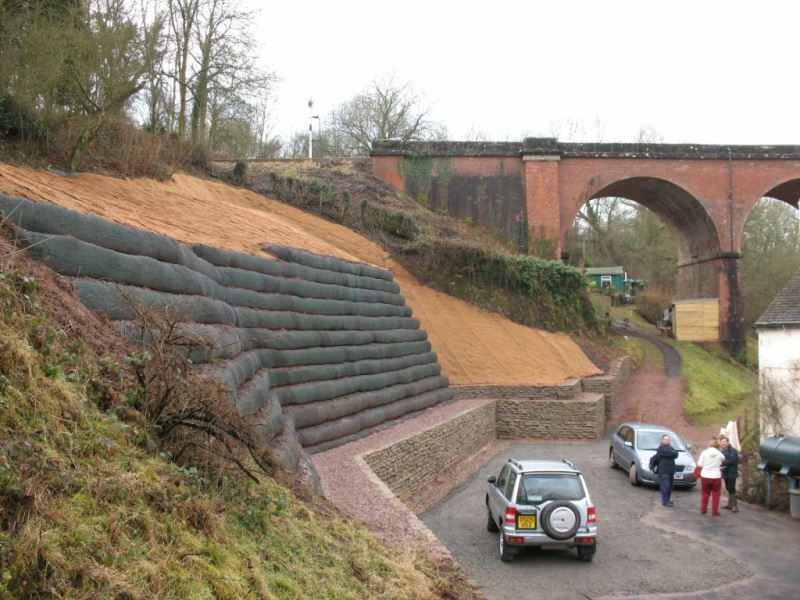 Over 2000 tonnes of material was excavated from the failed slope profile and replaced with a reinforced soil wall comprising 16 layers of geogrid and stone to a height of over 8 metres. 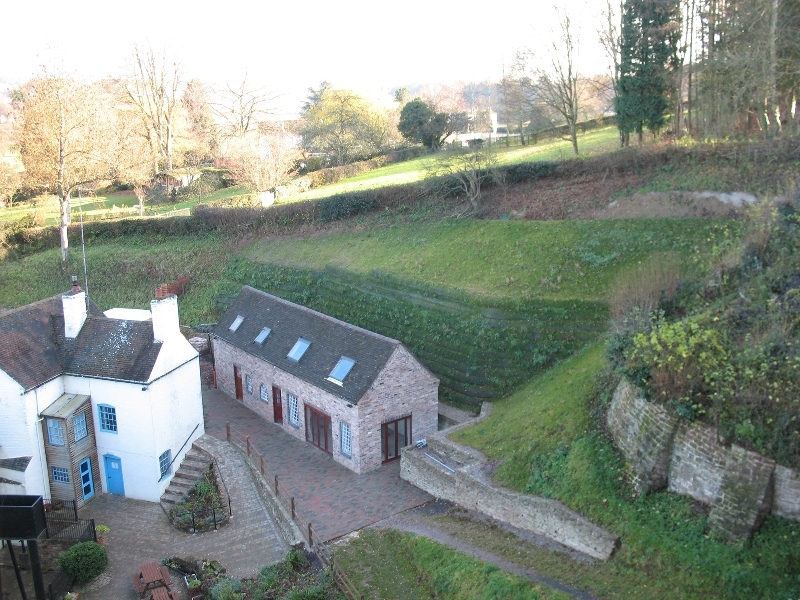 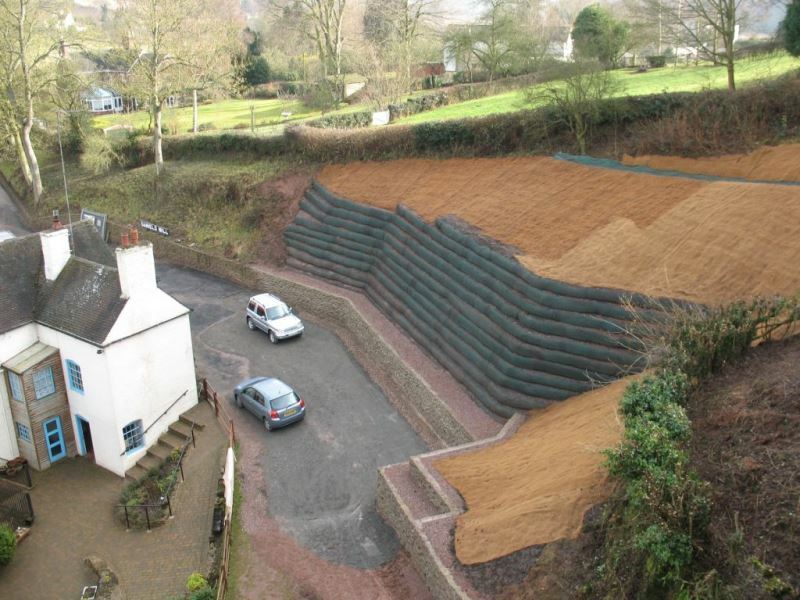 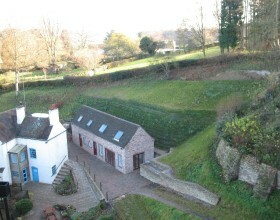 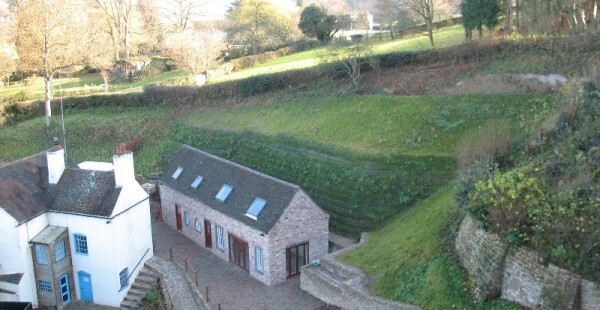 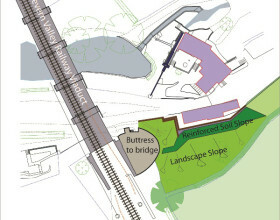 Drainage at the base of the new slope was connected to an outfall downstream of the Mill, the driveway and car parking areas resurfaced and a Wenlock stone wall feature added to the lower section of the soil wall to match the existing character of the historic mill. 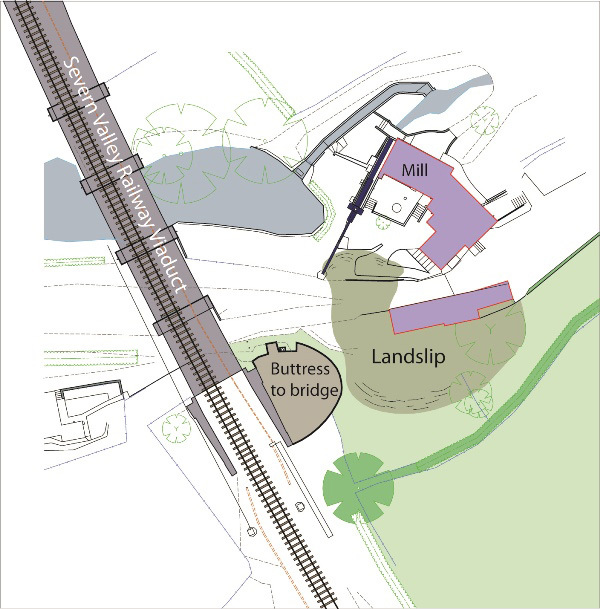 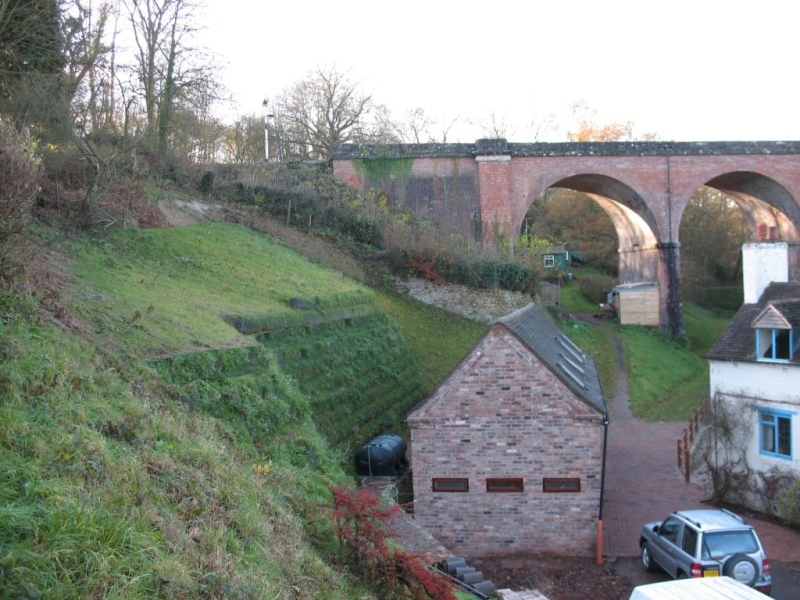 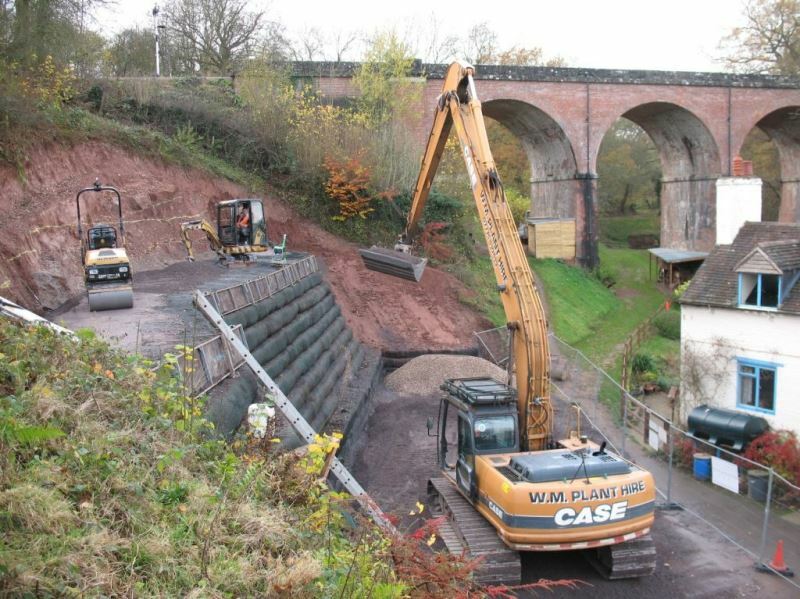 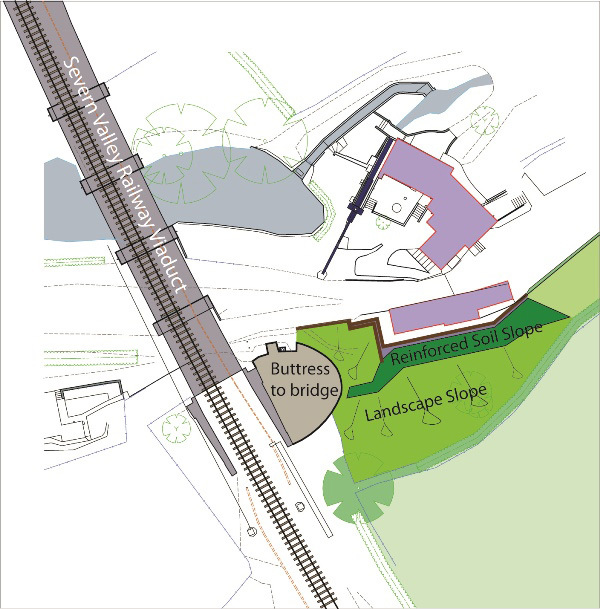 Critical to the project’s success was a close working partnership between all the parties involved including the mill owners, the neighbouring Severn Valley Railway, insurance and legal bodies, clients representative, designers & contractor. The Mill owners are delighted with the end result and look forward to working the Mill for many years to come. 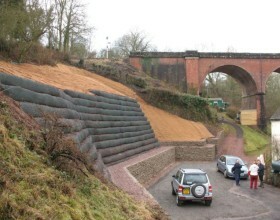 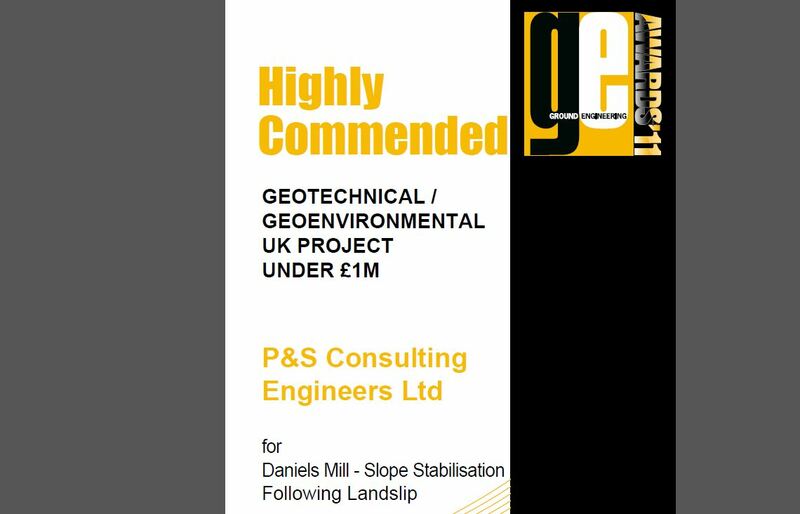 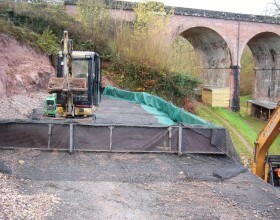 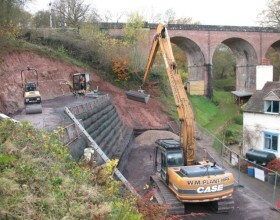 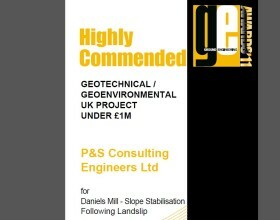 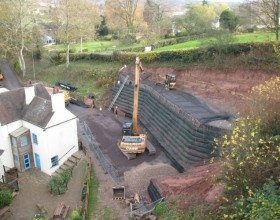 The project reached the final of the 2011 Ground Engineering Awards being recognised as Highly Commended.